Swedish Culture and… Well, Me? Calm, Cool, and Collected: Swedes, especially in Stockholm, love to act and be cool. This is the way my Swedish Language and Culture professor, Madeleine Hurd, described the people of Stockholm. She used the example of a someone tripping on the street and dropping all of their belongings. For us Americans, it is often customary to stop whatever we are doing and help an individual reclaim their things; while constantly assuring them that “no one” witnessed their clumsiness. Even though we all know this is a complete fib. Nonetheless, Swedes tend to act on quite the contrary. Instead, a Swedish person would rather be recognized but ignored. They would prefer to use the time collecting their dropped items as a way in which to reflect on their embarrassment. This almost serves as a moment of silence to gather themselves and identify the fact that their faulty footing was entirely their wrongdoing. Beauty: Let me start off by saying, the people here (at least the ones I have met) are absolutely beautiful. Yes, aesthetically-speaking, individuals in this society are extremely well kept. They wear the latest trends and their hair always seems to be in perfect condition. Lucky for me, I have a background in fashion and dressing my best all of the time. For this reason, I haven’t really felt out of place with my assorted collection of sweater vests and blazers. One of my professors put it this way, “Swedes, especially in Stockholm, love to look cool;” something with which I strongly identify- even when in reality, I happen to look like a complete dork. They know, they know, they know: The Swedes know that you are an American. You aren’t fooling anybody. I guess I am a bit of an exception to this claim by way of having Middle Eastern/Hispanic physical characteristics. However, when they hear you speak, it is almost as if they glob onto you. Swedes want know where you are from and, furthermore, why in the heck you would ever come to Sweden. In my case, the answer is quite simple. Aside from wanting to meet new people, the social equality of Scandinavia (Sweden in particular) is an extremely enticing case study. Soft-Spoken: Despite the reference in my 3rd point about Swedes loving to talk politics, they really are not as open as you would think. It is very rare, almost unheard of, to have a Swedish person start a conversation with you. It is not common to simply strike up a conversation with the person sitting next to you on public transportation. Lucky for them, the iPhone serves as the perfect outlet. In this regard, one gets quite the comedic relief of the study abroad experience by simply walking down a street in Stockholm. 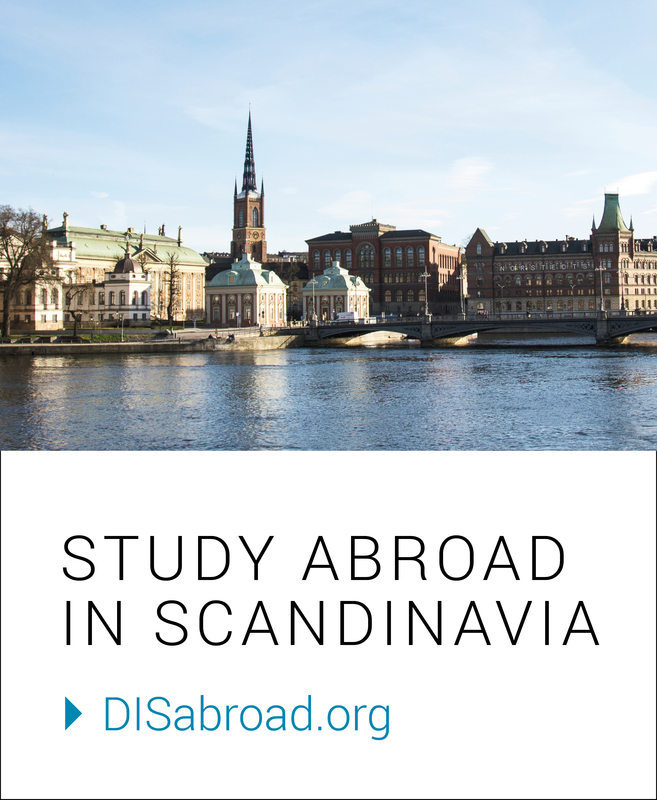 If a Swede is alone on their journey, they are often seen with earbuds in while systematically checking their texts and social media newsfeeds. I must emphasize that they are rarely ever distracted from this task. I find it hilarious that this nomophobic tendency has led to the strategic placing of “smartphone traffic signs” on street corners. Often seen at busy intersections, these markers serve as a reminder for people to look up for and check for oncoming traffic. Unfortunately, I lack the empirical data to show the number of lives saved as a result of these signs, nonetheless, their very necessity is quite entertaining.